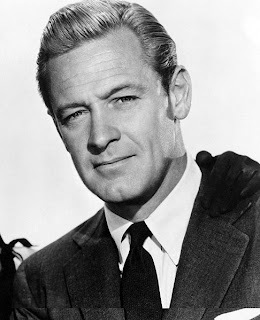 William Holden (April 17, 1918 – November 12, 1981) was an American actor. Holden won the Academy Award for Best Actor in 1954 and the Emmy Award for Best Actor in 1974. One of the most popular and well known movie stars of all time, Holden was one of the biggest box office draws of the 1950s, he was named one of the "Top 10 Stars of the Year" six times (1954–1958, 1961) and appeared on the American Film Institute's AFI's 100 Years…100 Stars list as number 25. He starred in some of the most popular and critically acclaimed films of all time, including such blockbusters as The Bridge on the River Kwai, The Wild Bunch and The Towering Inferno. Holden was married to actress Ardis Ankerson (stage name Brenda Marshall) from 1941 until their divorce (after many long separations) in 1971. They had two sons, Peter Westfield (born November 17, 1943) and Scott Porter (born May 2, 1946; died January 21, 2005, San Diego, California). He also adopted his wife's daughter, Virginia, from her first marriage. Holden was best man at the marriage of his friend Ronald Reagan to Nancy Davis in 1952; however, he never involved himself in politics. In 1954, during the filming of Sabrina, Holden and Audrey Hepburn became romantically involved, and she hoped to marry him and have children. She broke off the relationship when Holden revealed that he had undergone a vasectomy. 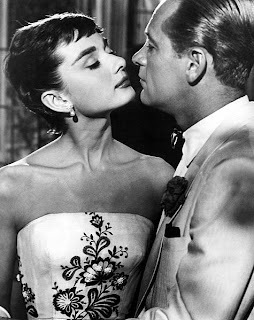 In 1964, he was again paired up with Hepburn in Paris When It Sizzles, but behind the scenes, the set was plagued with problems. Holden tried without success to rekindle a romance with the now-married Hepburn. That, combined with his alcoholism, made the situation a challenge for the production. He maintained a home in Switzerland and also spent much of his time working for wildlife conservation as a managing partner in an animal preserve in Africa. His Mount Kenya Safari Club in Nanyuki (founded 1959) became a mecca for the international jet set. While in Italy, he killed another driver in a 1966 drunk driving incident. Holden received an eight-month suspended sentence for vehicular manslaughter. In 1972, he began a nine-year relationship with actress Stefanie Powers which sparked her interest in animal welfare. After his death, Powers set up the William Holden Wildlife Foundation at Holden's Mount Kenya Game Ranch. According to the Los Angeles County Coroner's autopsy report, on November 12, 1981, Holden was alone and intoxicated in his apartment in Santa Monica, California, when he slipped on a throw rug, severely lacerated his forehead on a teak bedside table, and bled to death. Evidence suggests he was conscious for at least half an hour after the fall. It is probable that he may not have realized the severity of the injury and did not summon aid, or was unable to call for help. His body was found four days later.